HomeFacebook[FACEBOOK scam] [H0RRIBLE VlDE0] The most dangerous Plane Crash Accident of the World !!! Be aware of The most dangerous Plane Crash Accident of the World Facebook scam which is being shared by unaware Facebook users. 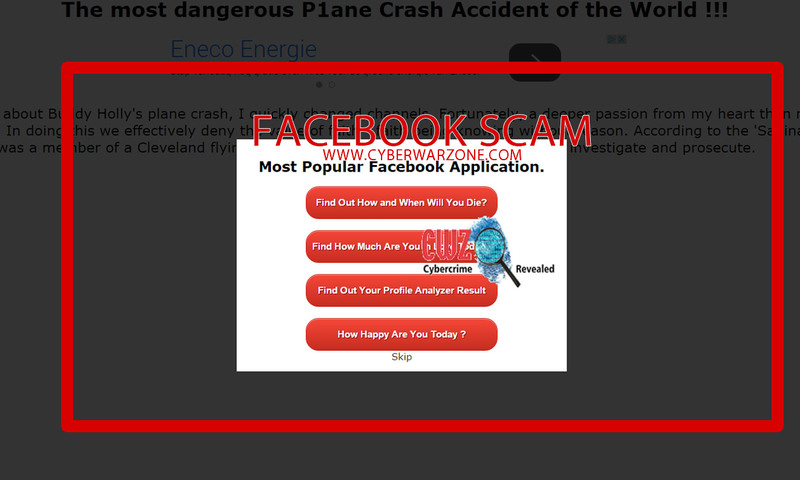 The Facebook users have been lured to the malicious howtodoknowledge.com website which is hosting the Plane Crash Accident Facebook scam. The scam has been crafted by Facebook scammers which want to generate an online revenue by forcing users to navigate to specific websites. The scammers use surveys, advertisements and malicious applications to generate an online revenue from the unaware Facebook users. Once the victim lands on the malicious howtodoknowledge.com website, the user will be forced to share the Plane Crash Accident video to their Facebook timeline.